Continuing with their huge announcements, EXIT has added to their massive line-up with even more acts confirmed. 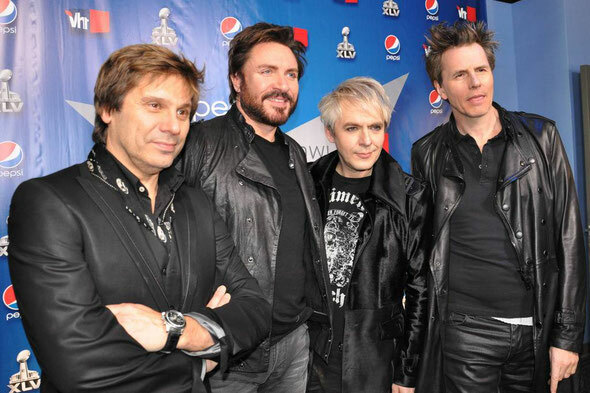 First up is pop legends Duran Duran, who will kick-start the opening night of the festival performing on the main stage with original band members John Taylor, Roger Taylor, Nick Rhodes and Simon Le Bon. The band will be showcasing songs from their most recent, critically-acclaimed album ‘All You Need Is Now’, alongside iconic hits such as ‘Girls On Film’, ‘Rio’, ‘Planet Earth’, ‘Hungry Like The Wolf’, ‘The Reflex’, ‘Notorious’, ‘Come Undone’ and ‘Ordinary World’. Having defined the MTV generation and taking music videos to another level with exotic locations, beautiful girls and stunning special effects, Duran Duran have sold over 80 million records, won numerous awards and continue to be at the forefront of musical innovation. “All of us at EXIT are thrilled beyond words that Duran Duran will be playing at this year’s festival. So many memorable hits to look forward to along with new material from their recent album should stamp 2012 as another defining moment for EXIT”, said EXIT General Manager Bojan Boskovic. Over on the Fusion Stage one of Scandinavia’s best indie bands, Little Dragon will perform on Sunday 15th July providing the best tonic in the form of Swedish electro pop act Little Dragon. A four-piece band, headed by the astonishing vocals of Japanese-Swedish singer Yukimi Nagano. Little Dragon have released three studio albums – with the most recent ‘Ritual Union’ (2011), earning rave reviews from critics and fans alike. The HappyNoviSad Stage presents the R&S Records showcase, featuring Lone, Pariah, Teengirl Fantasy Live and The Chain. The Elektrana Stage welcomes the Australian act Sneaky Sound System consisting of the guitarist and producer Black Angus, and the singer Connie Mitchell. Their most recent hits 'From Here To Anywhere', 'Big', 'Really Want To See You Again' and 'We Love' are still renowned in Oz. During their career, the band has also collaborated with worldwide stars such as DJ Tiesto, Azari&III, KiNK and many others.